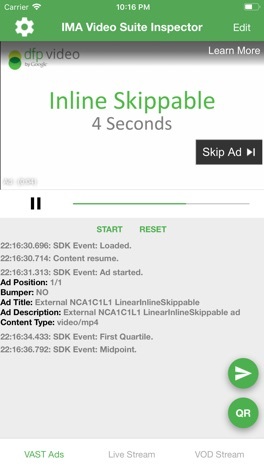 The video player now scrolls with the rest of the events log for testing ad viewability measurement. View and verify VAST video ad tags, Google DAI live streams, and Google DAI video on demand streams. Print, send, and share ad events for debugging and testing purposes. ********* FREE for a limited time ******* Stay on the wall and do as many zigzags as you can! Just tap the screen to change the direction of the ball. Try not to fall off the edges! How far can you go?